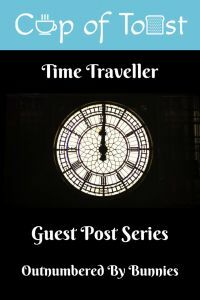 Welcome to my Time Traveller series! I love history, from the dark depths of centuries gone past, to more recent years. 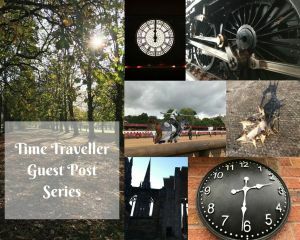 So I’ve reached out to my fellow bloggers and asked if they could go back in time, when would they travel to and why? 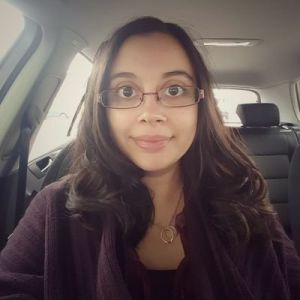 I thought about some of my favourite periods in history: the changes that took place during the reign of Henry VIII, the glamour and mystery of ancient Egypt, the glorious design features of Queen Anne’s reign… And then I thought about some of the things that I love and appreciate today. Indoor plumbing. Antibiotics. Low rates of maternal and infant mortality. LGBT and women’s rights. So, as mundane as it is, for me I’d want to experience the eighties properly. I was born in 87, so I don’t have any memories really of that period of time, but my parents have some great stories of life back then. While we’ve obviously had some major and amazing advances in healthcare since the eighties, it was pretty damn good back then. I wouldn’t have to worry about dying from a simple infection. Chances are, my daughter and I would have made it through childbirth, just as my mum and I did. Women could vote. They could work. I wouldn’t be so limited in what I could do as I would if I’d gone back further in time. I’d get to be around in the earlier days of the technological revolution. (Am I visiting the time period with my current knowledge and abilities? Because if so, I think the stock market and I are going to be come very good friends!) Growing up, my dad encouraged me to do a lot, technology-wise. My earliest memories of the internet are from the mid/late nineties and are really positive. I love that it felt like this fun secret world that not everyone knew about – and earlier than that, it was even more exclusive. I think I’d have really enjoyed being part of that. The music and TV were also pretty great. Wham, Whitney Houston, Michael Jackson… I could easily just listen to 80s music and be quite happy even today, to be honest. Maybe I could have seen Whitney Houston perform. And if I experienced the eighties properly, I’d also be of an age to really enjoy the nineties. I have loads of great memories of the nineties, and I think it would be fun to relive them.